Tom Clancy’s The Division 2 won’t be out for a couple more weeks yet, but, of course, Ubisoft is already dishing about the game’s post-launch content. As with most recent Ubisoft games, the majority of the content, including three story expansions and new Specializations, will be free, but Ubisoft will also be offering a $40 Year 1 Pass. Check out The Division 2’s Year 1 trailer, below. D.C. Outskirts: Expeditions (Episode 1) will take you to the surrounding areas of Washington as you chase down elite members of the Outcasts and Black Tusks and fight for the liberation of the city in new locations. Pentagon: The Last Castle (Episode 2) will bring you to one of America’s most iconic locations to unveil what secrets lie inside this well protected maze. Throughout Year 1, we will release three additional Specializations for your agent. Year 1 Pass holders will unlock these new specializations as soon as they’re released. Year 1 Pass holders will also be able to earn exclusive cosmetic items with each Specialization’s release. 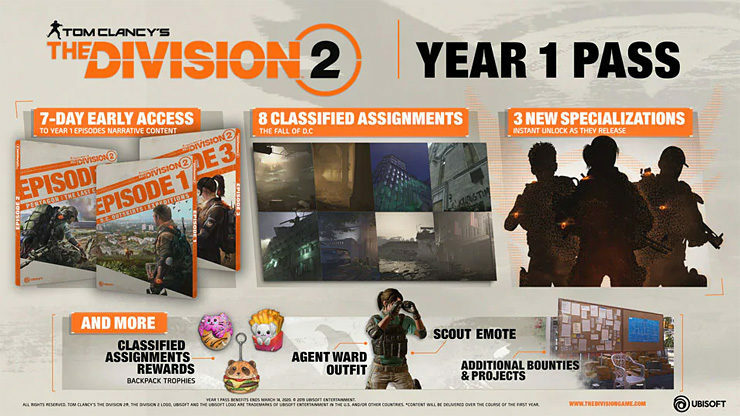 Completing each assignment will award you with a unique and exclusive backpack trophy to customize your Agent’s look. 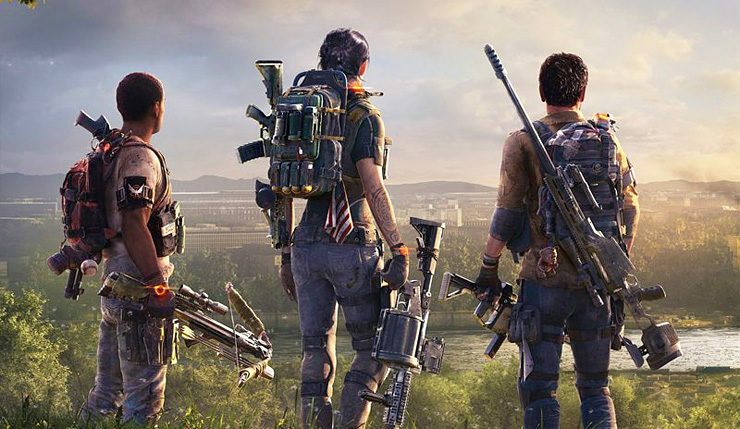 Finally, yes, The Division 2 will have loot boxes, called “Apparel Caches.” As the name implies, all the stuff in these caches will be cosmetic. The loot boxes will come in two variants – Standard Caches are earned strictly through gameplay and draw from a standard loot pool, while Event Caches contain limited-time loot and can be bought with real money. Tom Clancy’s The Division 2 is coming to PC, Xbox One, and PS4 on March 15. The game’s open beta runs from March 1 to March 4.